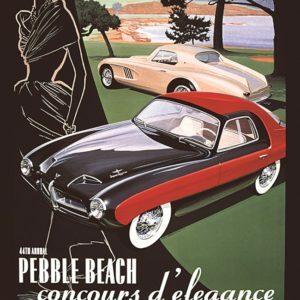 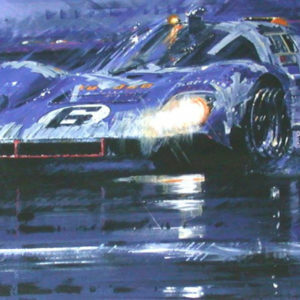 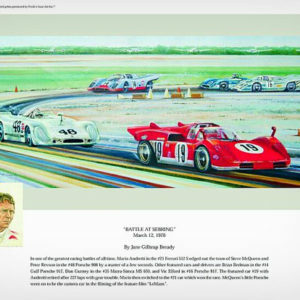 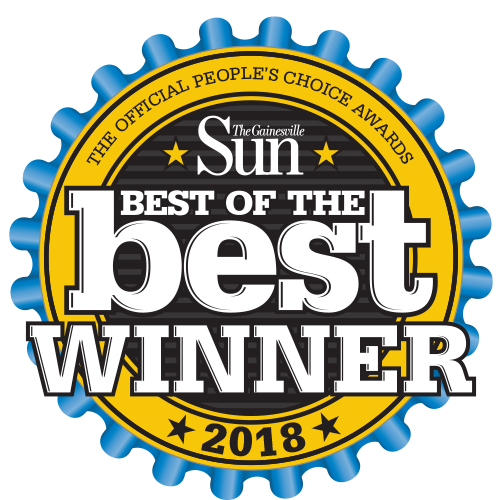 This unique edition is limited to 850 prints and was published by Freck’s Auto Art, Inc. 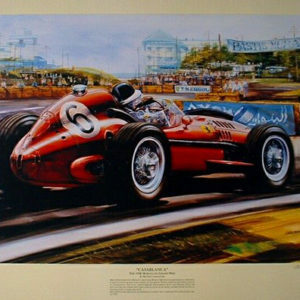 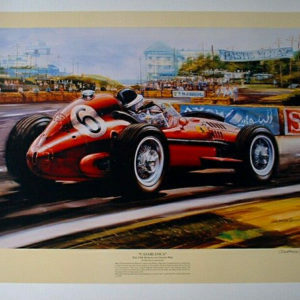 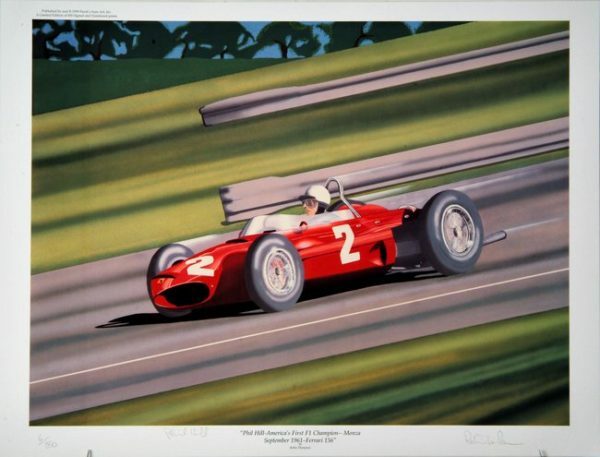 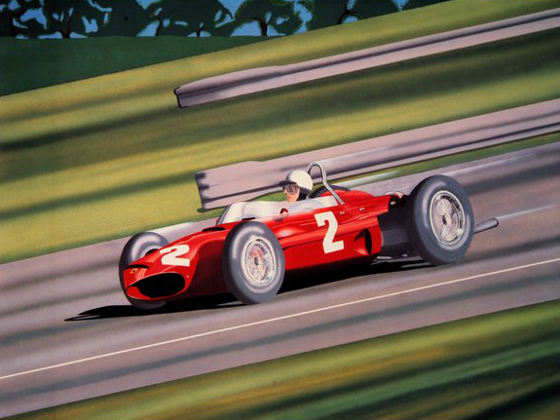 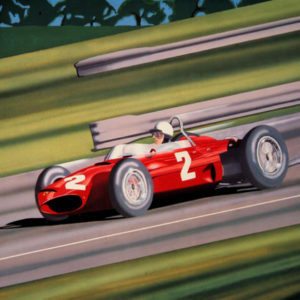 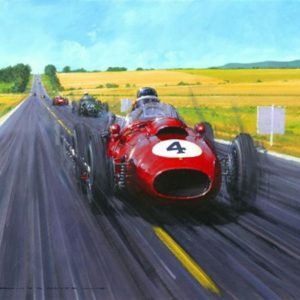 The scene features America’s first great Formula 1 champion Phil Hill in the shark nose Ferrari. 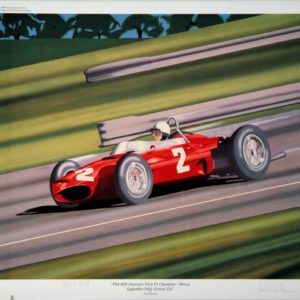 The prints are signed by Phil Hill and artist Robin Thompson. 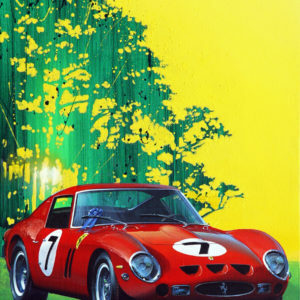 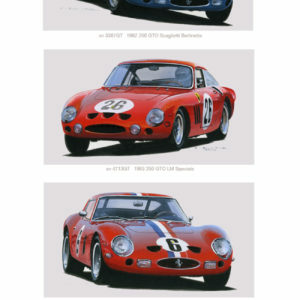 This is a great value for the collector at this price.